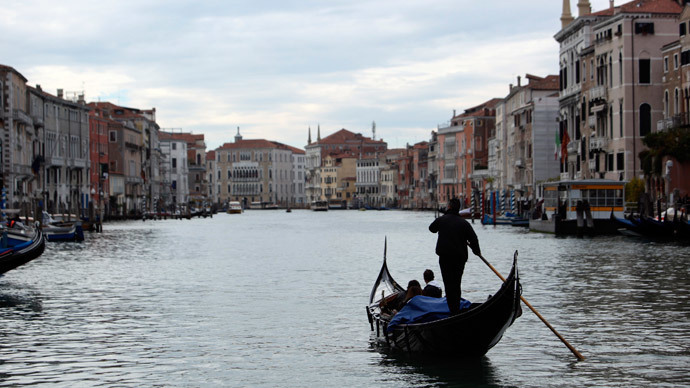 Over 89 percent of residents in Italy's Veneto region have voted in an unofficial referendum in favor of independence from the rest of the country as Venetians seek to restore the glory of the old days by creating a state of their own. 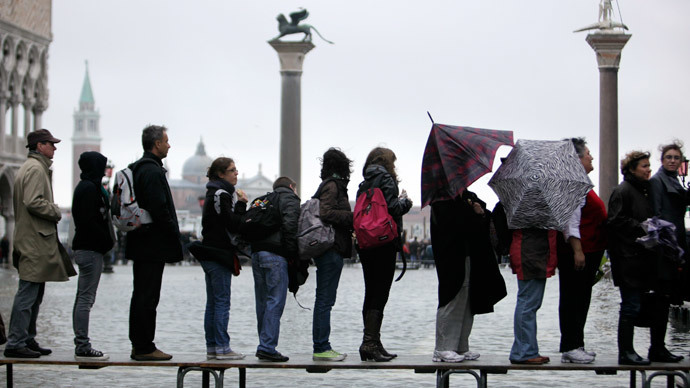 Over two million residents of Veneto – the region of Italy surrounding Venice – took part in the so-called 'Veneto independence referendum' that lasted from Sunday to Friday. The survey, conducted online and backed by the region’s independence parties, has no legal power but aims to gather support for a bill calling for a referendum. The poll also asked residents if they want the region to keep the euro and remain part of the European Union and NATO if it declares its independence. More than 55 percent of voters said they would prefer an independent Veneto to remain part of the EU, and over 51 percent said they want to remain in the eurozone. Over 64.5 percent said they want Veneto to be part of NATO. The results of the vote were announced Friday in the city of Treviso, where hundreds of pro-independence activists gathered for a demonstration, waving the flags of the old Venetian Republic. Earlier, the "yes" campaign – organized by pro-independence activists – said that if the majority voted for separation of the region, Veneto would issue a 'Declaration of Veneto Sovereignty' and stop all tax transfers to the central government in Rome. Though opponents described the poll on Twitter as "total madness," supporters believe in a new, independent Republic of Veneto. 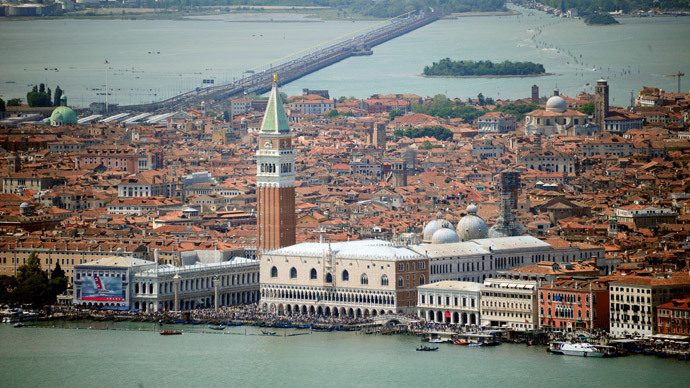 They say the region would be inspired by the ancient Republic of Venice – a rich economic, cultural, and trading state known as “La Serenissima,” or “The Most Serene Republic of Venice.” The republic lost its independence when Napoleon conquered Venice in 1797. Earlier in March, leaders of the independence movement said they were not going to wait for Rome’s approval, adding that they would begin the separation process if the population voted in favor of the move. Veneto's President Luca Zaia – who supports the independence movement – said the region is tired of the lack of respect from Rome. Members of the movement for Veneto independence say they were inspired by Scotland and Catalonia, both of which have also planned referendums for 2014. Scotland will vote on its independence in September, while Catalonia’s residents will take part in a similar vote in November. According to a Thursday online poll taken among Catalonia residents, nearly 59.6 percent of its population desires independence from the rest of Spain. Independence supporters say Italy's economy is the key reason behind the bid, as Veneto is one of the wealthiest and most industrialized regions of the country. “Veneto is the region that has been supporting financially Italy and the main reason [for separation from Italy] is economics,” Lodovico Pizzati, spokesman for the Veneto independence movement, told RT. “We pay 70 billion euros in taxes to the Italian state and only a fraction comes back, so we’re looking at a gap of 20 billion euros." Professor of history Paolo Bernardini explained that Veneto, as well as Milan and Lombardy, are stranded by the fiscal pressure coming from Rome. “Venice pretty much as Milan and Lombardy are strangled by the Italian fiscal pressure, which is well above 60 percent, occasionally 70 percent. So it’s one of the strongest fiscal pressures in the world,” he told RT.